Take a look at the exciting progress being made in your sponsored child's community thanks to your donations over the last year. “After conducting capacity building training for parents on antenatal and postnatal care, skilled delivery has increased and home delivery is significantly decreased. Due to this, the risks and complications mothers face during delivery has reduced significantly, “says Tsega of 35, mid wife. Milkias, 14, a 7th grader says, “Awareness creation training on child rights by World Vision in the form of group discussions helped us to develop a good understanding about child right. Now my friends and me know how to exercise our rights as well as protect others from any kinds of child abuse." “We all were jobless before. After World Vision supported us with different training and inputs, now we are improving with the business so much. As we are creating access to sanitary facilities, we are also creating job opportunities for ourselves and even for others,” says Birtukan of 18. “We are preparing different types of teaching aid materials after we have got ECD training from World Vision. Now, we are able to teach more practical things which highly improve our skills of creativity. Besides, it changed the methodology and understanding of teachers in the teaching process,” Birtukan 35. Children in collaboration with Abaya Area Development Program (ADP) organized a get together with the objective of simply playing and having fun with their friends. Children in collaboration with Abaya ADP organized a get together for themselves on April 30, 2017, filled with fun. 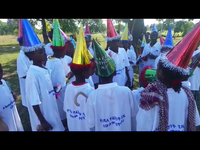 Children from the Abaya community sing and celebrate at the day they organized with help from Abaya ADP. “The dialogue which is conducted by World Vision about roles and responsibilities of children is enabling us to know our position in society. Now, we understand that each of us has multiple roles and responsibilities in our life; in different contexts or with different people,.”says ,Durassa ,13. ‘’Thanks to World Vision, all intervention areas of 21 villages and households have private latrines and at least two communal latrines in each village. Children are a most vulnerable group in the community due to diseases that are related to poor sanitation and hygiene," says Ato. “Thanks to World Vision, we purchased different livestock drugs and undertaking treatment for livestock to prevent diseases such as Treps (Gendi), Fasiolia, and different Bacteria,” says Tadele, 34, one of the community representatives. “Children in the Abaya district are enjoying reading books everywhere because World Vision understands that reading is one of the basic building blocks for children’s lifelong learning, success in school and sustainable development, and supplies them with various reading materials,” says Haimanot, 31. “Malaria due to mosquitoes is the main disease in our community. Sometimes children are dropped from school. Awareness creation training and the distribution of mosquito nets by World Vision dramatically decreased and prevented our community from this disease, especially mothers and babies," Deratu, 25. “I like learning and having fun at preschool because we have a playground now.” – Mamush, 6 years old. “Since our teachers attended training, we have more opportunities to do creative projects at school.” – Tekalign, 12 years old (right). “Chickens provide fresh eggs and bring in extra income for my family. My children will grow up strong and healthy because they now eat nutritious meals.” – Elefe, mother (far right). “I learned how to grow vegetables and received seeds to get me started. Growing chili peppers helps me earn enough money to meet my family’s needs.” – Guyo, father (middle). “World Vision trained pregnant women and community leaders on maternal and newborn care. Now, more pregnant women have attended prenatal visits and with appointments skilled midwives during delivery.” Geleglo, health center midwife. 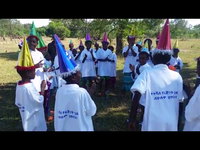 Millikyas , Tesfaye and Mirhet participate in the child parliament. World Vision establishes child parliaments to enable community youth to participate in leadership roles and to have a voice in their community. “Thanks to World Vision due to the establishment of child center in our village, me and my friends recreate in the center. Now, children don’t waste their free time inappropriate place.“ says, Konjit, 11. “Before we had this water near our village, we had to walk far away and it was time taking and challenging. Now, we have more time to playing and studying.” says Chaltu, 13 years old. Thanks to World Vision in giving training for our teachers and fulfilling the necessary materials would enable us to learn different learning methodology like 1 to 5 sitting arrangement which gives a chance to every student to express his or feelings.“ says, Mimi, 11. The demonstration of child right in the form of drama like on Africa child day helps to create awareness for every child about child right. Now, me and my friends understand that how to exercise our right as well as protect ourselves from any kinds of child abuse.” says, Milikias, 12. “We are creating different types of teaching aid materials after our teachers have got literacy boost teacher training. Now, we have got an opportunity to learn more of practical things which highly improve our skills of creativity.“ says, Tekalign, 12. “We used to travel 40 minutes to fetch water. Our children suffered from waterborne diseases. Now we have clean water and our children are healthier.” Tadelech, water committee member. Meskerem (14) and Selamawit (12) take turns on the swing set. They say that the child center is very important for them and other children to relax and enjoy life with all the different activities that are offered. Salamwit continues, "In all our vacation time and after school we are playing in the child center." “I have got this experience learning from World Vision through the farmer irrigation user group in my community," said one of the local farmers. "After World Vision provided us this opportunity, I totally understood how I had previously neglected the local seed, but now I know to do better." “Our district has no sufficient budget to protect the degraded land. We have a golden opportunity from World Vision," said one of the district natural resource management experts. “With the support of World Vision in farming managed natural resource programs, our soil and water is conserved." “After school we have got an opportunity to practice in the reading camp with the help of volunteer’s. We really improved our reading skills and our study habits. 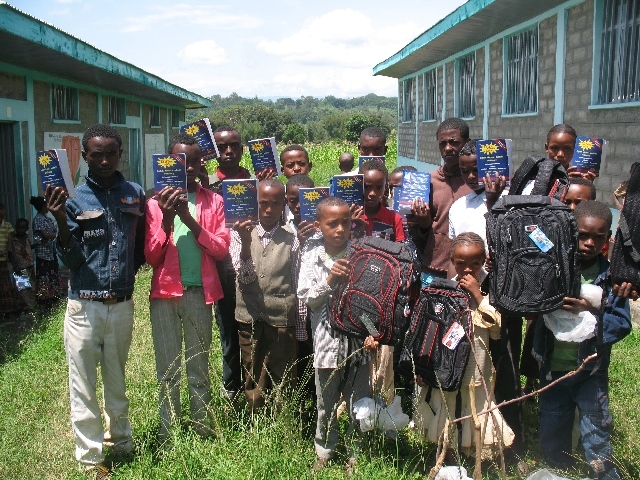 Thanks to World Vision, the camp has been furnished with different reading books and tools, said one of the children. “Our district has no sufficient budget to protect the degraded land. We have a golden opportunity from World Vision," said one of the district natural resource management experts. "With the support of World Vision in farming managed natural resource programs, soil and water is now conserved." “We now have this pure water in our village which was constructed by World Vision. As a result, we are protected from different types of water born disease. Thanks to World Vision, today we are free from this entire problem and are now able to attend school appropriately," said one of the teenage children. 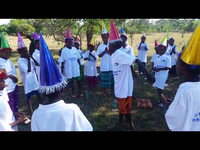 Children are learning the English alphabet using songs. They are singing using a local language called Oromiffa. Shimelis reads a story aloud to fellow students at the Children’s Reading Center. Debela Obsa, member of the child parliament leader said that after the establishment of child parliament by World Vision child participation has increased in matters that affect the lives of children. One of the woman who is fetching the water said "We were used to travel long distance to access water. 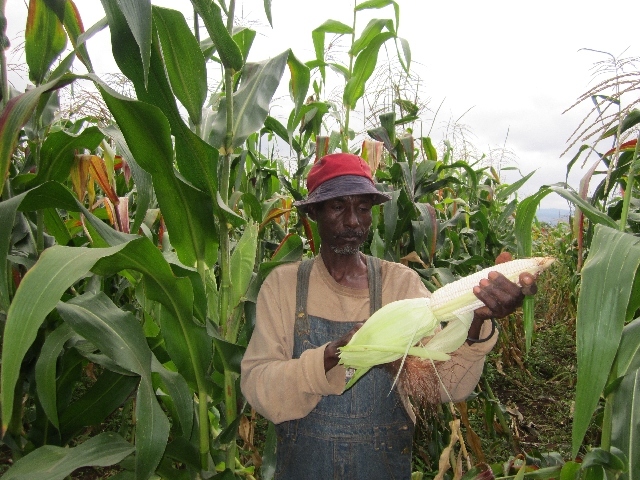 But now due to the construction of shallow well by World Vision we are able to access clean water in the nearby area"
A farmer from Semero village said that the provision of selected maize seed variety and the training provided by World Vision has contributed to raise maize productivity. AtoBereketBedhaso, the vice principal of the school, said that, “Thanks to World Vision Ethiopia; students are now sitting in clean class rooms that are appetizing for active learning." 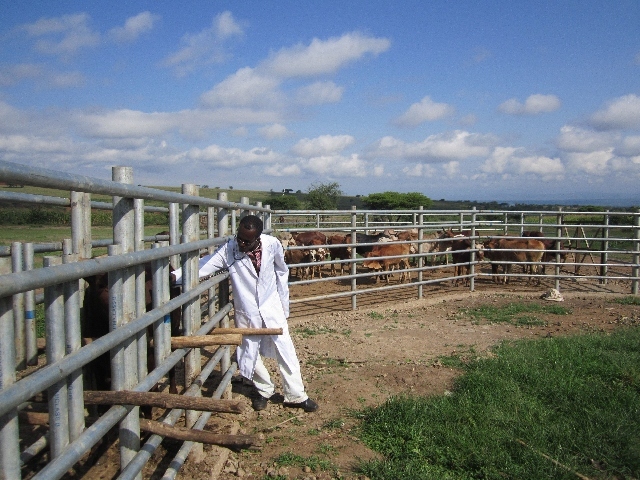 The newly constructed cattle crash by World Vision Ethiopia Abaya area development program has contributed to the reduction of cattle disease,” said the young veterinary specialist. Mr. Edema Dekemo a farmer in Abaya area has said that the introduction of improved corn seed variety by World Vision Ethiopia has increased maize crop production and productivity. Children from Hose Golla Kebele Primary School receive awards. Take a look at everyday life in your sponsored child's community to see where they live, what brings them joy, and the challenges that your donations are helping to overcome. Boys and girls are safe and valued, well cared for by their families, and participating in their communities as agents of transformation. Children are safer and more protected. Through training, 180 volunteers, 80 community members, 60 religious leaders and 46 government officials learned about child rights. Now, more people in the community know the importance of child protection and how to keep children safe. Children and families are well nourished, protected from infection and disease, and have access to essential health services. More boys and girls are protected from diseases. Following the use of anti-malaria spray in 39,445 households, many children and pregnant mothers are protected from malaria. 2,500 children are safe from waterborne diseases after the construction of a new solar-powered water system. Children have opportunities to learn and to develop their talents, young people are equipped for the future, and families and communities support children's education. Children are becoming better readers. Through reading camps, 1,500 children have improved their reading skills. More children are starting school earlier. After an awareness campaign about the importance of education, 120 children were enrolled in preschool. Children and families are growing spiritually, local churches are strengthened to demonstrate Christ's love in practical ways, and people are living at peace with their neighbors. More children are developing their spirituality. After 10 faith-based classes received 180 spiritual books, children are improving their understanding of God and growing spiritually. More boys and girls know how to peacefully resolve conflicts. A total of 80 children attended workshops about conflict resolution. Because World Vision believes in a holistic community development approach, the statements and numbers above, recorded at a point in time, reflect not only our aspirational goals for these communities but are based on all children within the community that benefitted from the specific activity that's identified. Together, in partnership with you, we will work to make these goals a reality. World Vision is privileged to offer sponsorship in many communities where the majority of the families we serve are not Christian. When working in these communities, we not only abide by local laws and customs but also strive to show respect and honor to those of different faiths. In the Abaya community, the availability of food has been impacted by unpredictable rain patterns and the community’s use of traditional, outdated farming techniques. Children suffer the most when families and communities face food insecurity, which makes them vulnerable to malnutrition and other health issues. Malnutrition lowers children’s resistance to infection, puts them at risk of childhood diseases and stunted development, and affects their ability to learn and thrive. The majority of community members have limited access to quality health services because of poorly equipped facilities and a shortage of medication. Few people in Abaya have access to safe drinking water. Unclean water, coupled with improper hygiene and sanitation practices, can result in pneumonia, diarrhea, and other waterborne diseases. HIV also is a concern, with a lack of awareness about prevention, care, and support. People often are reluctant to be tested because of the stigma and discrimination surrounding the disease. Although education is free in Abaya, the cost of school supplies and uniforms are too great of an expense, especially when parents are struggling simply to put food on the table. Parents who are overwhelmed with financial hardships are not likely to prioritize education or encourage their children to stay in school. In some cases, children bear the responsibility of finding a job and making money to support their families. The children who do attend school are not guaranteed a quality education, since many teachers are unqualified and schools are under-resourced. Without a strong foundation in education, children are less likely to break out of the cycle of poverty. Your gift in any amount will provide help and hope to struggling families in Abaya, Ethiopia. WorldVision is working alongside people in this community to develop tools and resources needed to help them build a better world for their children. Your gift will allow them to accelerate important projects aimed at meeting their critical needs. Together with the support of our generous sponsors, your gift will help this community become a place where children can grow and thrive. – Unity and commitment among our staff to continue transforming our culture. – Alignment to carry out integrated and effective programs for transformation. World Vision has been in this community for 10 years. 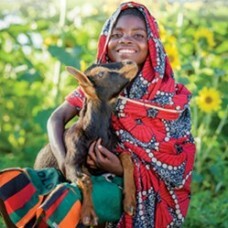 World Vision has a unique community development model. LEARN MORE.